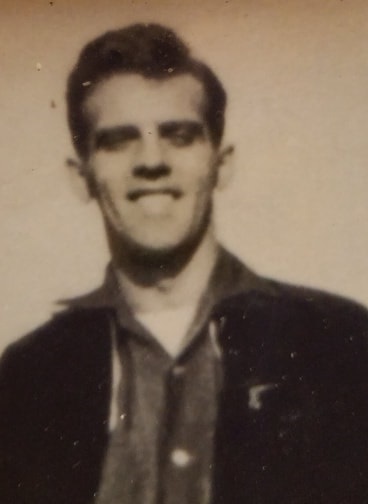 Obituary for Robert F. Talmadge | Seamon-Wilsey Funeral Home, Inc.
SAUGERTIES….Robert F. “Bob” Talmadge, 92, of Beckley St. died Wednesday, Feb. 6, 2019 at the Pines in Catskill. Born August 30, 1926 in Franklin, NJ he was the son of the late James and Christina Talmadge. A Veteran of the US Navy he served during World War II. For many years he was employed in Saugerties as a painter. He formerly played for various teams in the Saugerties Softball League. Survivors include 3 Sons: Brandon (Chelsea) Talmadge of Ft. Meade, MD, Robert of Monticello, and Sean Talmadge of Wilkes-Barre PA. A Daughter, Kaitlynn Talmadge of Monticello, 2 Sisters: Doris Schell and Christine Freligh, 3 Brothers: Andy, Stephen and Donald Talmadge, 4 Grandchildren and several nieces and nephews also survive. He was predeceased by his Siblings: Helen Hillje, Mi Ma Jane Barris, Nancy Farrell, Kay Law, Betty Ball, Lillian Terwilliger, Ronald, James, Thomas, George Talmadge and children Glen Talmadge, Robert "Botch" F. Talmadge Jr., Donna Handschuh and Michael Talmadge. His Funeral Service will be held 2:00 PM Saturday at the Seamon-Wilsey Funeral Home, Inc. Cor. of John & Lafayette Sts. Burial with military honors will follow in the Trinity Cemetery. Friends will be received Saturday 12:30 PM – 2:00 PM.